T-Mobile has added the multi-talented Nokia N95 smartphone to its handset line-up for its internet browsing-friendly web'n'walk service. 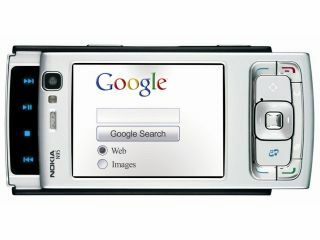 The N95 features a 5-megapixel Carl Zeiss lens camera and integrated satnav capability as well as Symbian S60 smartphone functionality. It's a 3G and Wi-Fi-enabled device enhanced by HSDPA (High Speed Downlink Packet Access) "3G broadband" technology - currently capable of delivering data at up to 1.8Mbps on the T-Mobile service (four times faster than standard 3G). Its 3G capability enables fast web browsing and downloading of tracks from the T-Mobile Mobile Jukebox service. The N95 offers a novel 2-direction sliderphone featuring a regular phone keypad on one end and music controls on the other to boost its music player credentials. Some 160MB of memory is built in, while MicroSD memory cards up to 2GB can be added to increase file storage. The device also has Stereo Bluetooth streaming. T-Mobile's web'n'walk service offers inclusive data bundles to allow users unlimited internet and email use with a phone for £7.50 a month on top of a standard monthly Flext tariff. On T-Mobile the N95 will come set up for access to some of the most popular websites, including Google Search on the home page. The N95 will be available from free on the Flext 50 tariff (and higher usage deals) with a web'n'walk bundle, costing £52.50 per month in total. Other prices are dependent on contracts.